Keeping the cutting tools of industry sharp is top of our priority list. If you work with wood, aluminium, steel, plastic, paper, food or fabric and you have processes that rely on precise clean cutting, visit us at Aegis Tool Sharpeners. 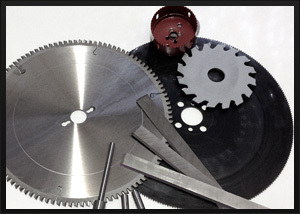 We strive to maintain keen edges on your blades, knives and saws. Replacement and manufacturing to suit your requirements also available. Your workshop is home to a vast array of tools. Keeping them sharp is key to being prepared for any job around the home. 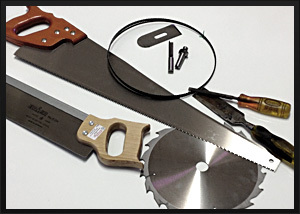 Handsaws, chisels, tenon saws, saw blades, bandsaw blades, planer blades all cut quicker and cleaner when sharpened by our qualified sawdoctor, tool sharpener. Tools in your home require maintenance as much as your home and garden. 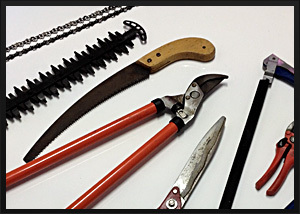 An annual professional sharpen will ensure your knives, scissors, secatuers, loppers, hedgeclippers and other garden tools hold their edge better and for longer. Sharpening your chainsaw chain regularly will mean easier and faster cutting when tackling those larger pruning jobs or getting your winter firewood cut.